Place the water and agar flakes in a small saucepan. Bring to a boil, reduce the heat to medium-low and simmer for 3 to 5 minutes or until the agar completely dissolves. Pour the agar water and matcha green tea into a blender. Pulse several seconds until the matcha completely dissolves. Pour the liquid into a flat bottom, shallow, dish or bread pan. Set aside or refrigerate until jelled, about 1 hour. 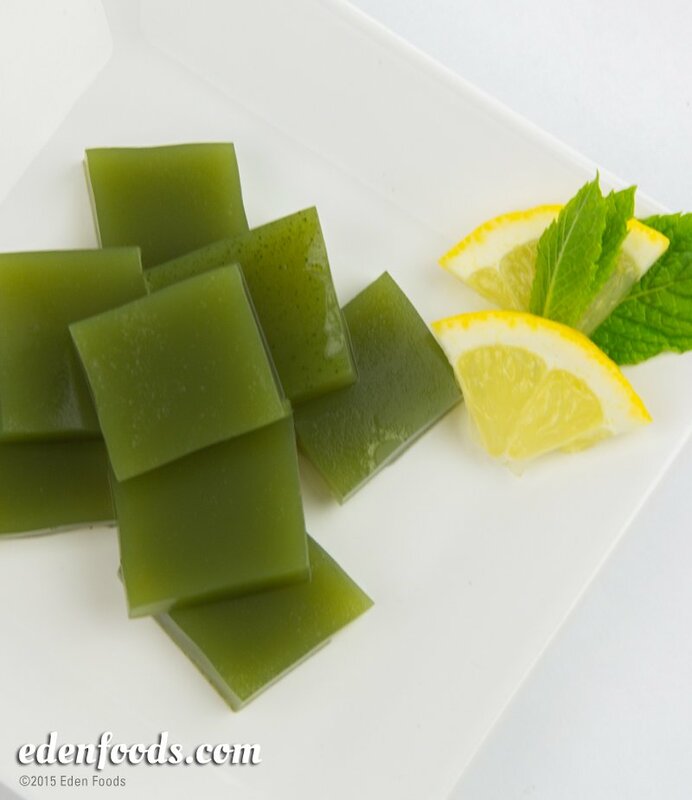 Slice the kanten into cubes and place on individual serving dishes or add to fruit salad.